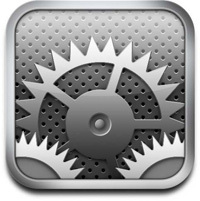 Mobile Config profiles can be used to set up services on iOS devices. 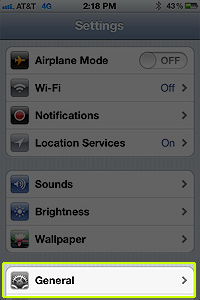 If the settings contained in the config file need to be changed, the profile must first be removed from the device. 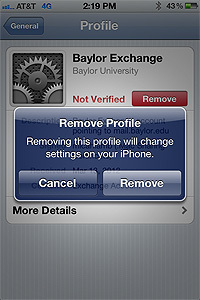 Below are instructions on how to delete a mobile config profile from an iOS device. 1. From the Home screen, click on the Settings icon. 2. Click on General then scroll down and click on Profiles. 2. 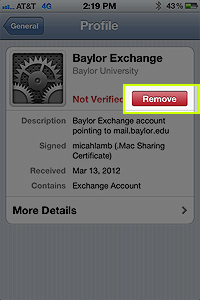 Select the profile you wish to remove and click Remove. asked to enter your device passcode.